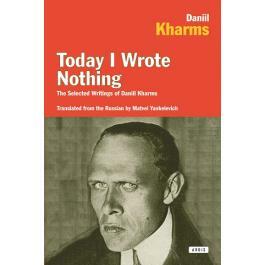 Like Teffi, Daniil Kharms is an author whose work I first encountered in Robert Chandler’s exemplary collection, “Russian Short Stories From Pushkin to Buida”. However, unlike Teffi, Kharms chose to stay in the Soviet Union after the revolution, eventually becoming another of its victims. I picked up this anthology of his work last year, and I’ve only just got round to reading it. 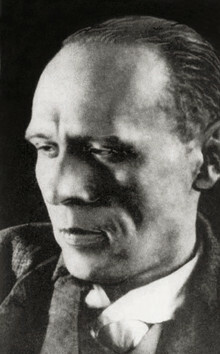 “Daniil Kharms (30 December 1905 – 2 February 1942) was an early Soviet-era surrealist and absurdist poet, writer and dramatist. He came to be known for his children’s literature.In 1928, Daniil Kharms founded the avant-garde collective Oberiu, or Union of Real Art. He embraced the new movements of Russian Futurism laid out by his idols, Khlebnikov, Kazimir Malevich, and Igor Terentiev, among others. Their ideas served as a springboard. His aesthetic centered around a belief in the autonomy of art from real world rules and logic, and the intrinsic meaning to be found in objects and words outside of their practical function.By the late 1920s, his antirational verse, nonlinear theatrical performances, and public displays of decadent and illogical behavior earned Kharms – who dressed like an English dandy with a calabash pipe – the reputation of being talented and highly eccentric. Kharms was arrested in 1931 and forced to live in Kursk for most of a year. He was arrested as a member of “a group of anti-Soviet children’s writers”, and some of his works were used as an evidence. He continued to write for children’s magazines when he returned from exile, though his name would appear in the credits less often. His plans for more performances and plays were curtailed, the OBERIU disbanded, and Kharms receded into a very private writing life. A varied and ultimately tragic life, then, and we’re lucky that his work has survived – it was rescued by friends and kept hidden for years until the thawing of the Soviet Bloc allowed publication, and has gradually filtered out to the west. “Today I wrote nothing. Doesn’t matter. “How strange, how indescribably strange, that behind the wall, this very wall, there’s a man with an angry face sitting on the floor with his legs stretched out and wearing red boots. If only one could punch a hole in the wall and look inside, one could see right away that this angry man is sitting there. But it’s better not to think about him. What is he? Is he not a particle of a dead life that has drifted in from the imaginary void? Whoever he may be, God be with him. What would be a strange little fable anywhere else takes on an extra resonance in Soviet Russia. It’s typical of his output but also very telling and I think that one of the things to remember when reading Kharms is that context is often all. In some ways, Kharms is hard to review too. What can you say about such a mercurial writer, who can slip between genres. His poetry is sometimes lyrical, sometimes funny and nonsensical. His longer story “The Old Woman” is a funny and clever piece of Soviet satire. Each sentence seems carefully thought out and dripping with meaning. Kharms reads like nobody else I’ve come across and this books was a really rich and rewarding experience. His playfulness and idiosyncratic outlook are really engaging, and I have to praise too the translator and publisher. The book comes with excellent notes and the translator must have done a terrific job dealing with capturing the wordplay in another language. I’ve seen Kharms’ work described as micro-fiction and that’s a great term – he can convey so much in so few words and in such a clever, funny way. Highly recommended!